Are you a planner when to comes to meals or a more of a person who likes to think about what you will cook when 4:00 rolls around. Each way of planning can work. You can save money with either planning option, if you make it work for you. Now what do I mean make it work for you? Well lets say you are a planner. Do you just think about what you want to eat for the week and then make a list, go shopping and then cook when the day for that meals comes? This formula for shopping while it works for many people won’t save you much money. You can save money by planning meals, just plan them around what is on sale. Get your store flyers out. Look over what items are on sale. I search for any coupons to match up with the sales items. Make a list of items that are on sale you would like to purchase and get coupons to go with them if there is any. Find some recipes that contain most of the ingredients you have on hand or have found on sale. Then make a list of what you need from the store to complete the meals you are making or just make substitutions with what you have one hand. That is how I think that menu planning would work best for a person who likes to plan ahead meals. Check out what the stores have on sale and decide which you will buy this week. Get out any coupons you have to match what is on sale. Go to the store and shop for your weekly groceries. Each night before bed plan what you will be eating the next day from what you have on hand. It may take creativity to get a plan together but you will be eating from a stock of food you have on hand and making do. Once you get used to this way of planning your dinner you will be better at knowing what you really need on hand each week for the kind of meals you like to eat. 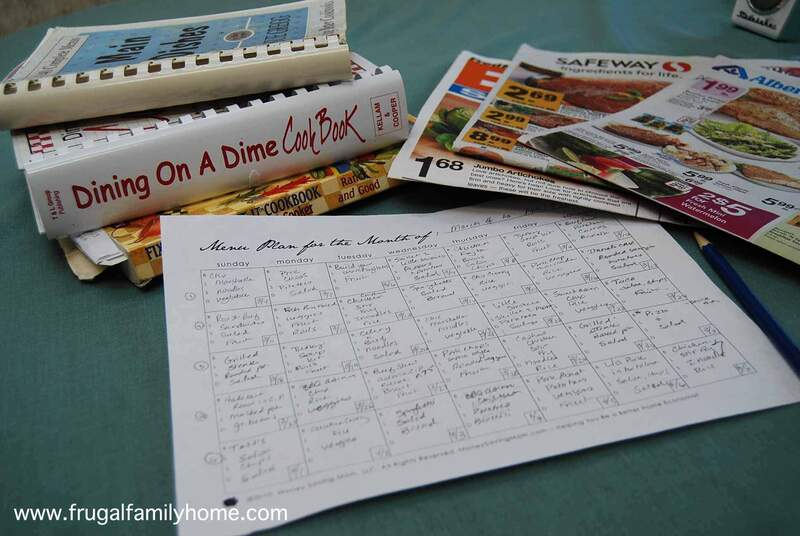 I have read that the second way of planning is the best way to save money but I just am too much of a planner to use this way of shopping for groceries. I do a mix of both which I will be sharing soon. In the meantime how do you menu plan for your family? I have gotten out the of excellent habit of menu planning in the last couple of months as we plan to move. 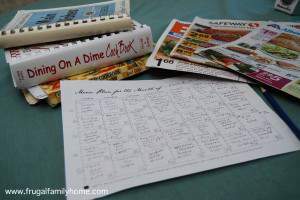 When I was doing it, I would keep a dry-erase board on our refrigerator and update each weekend with the meals I was planning to make for lunches/dinners doing during the week. That way the kids and hubby knew what we were supposed to be eating on each day.